These photos are from a nineteenth century plaster cast in the Victoria and Albert Museum in London. I’m don’t know if the original church survives, or where in Norway it was. If anyone knows, please comment. 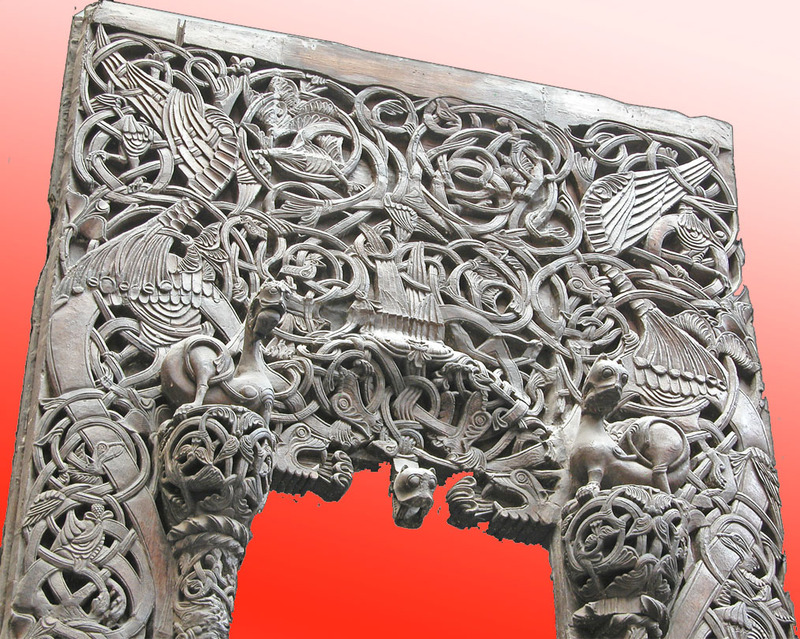 Interlace camouflage like this was very common in Christian art from fifteen to seven hundred years ago. 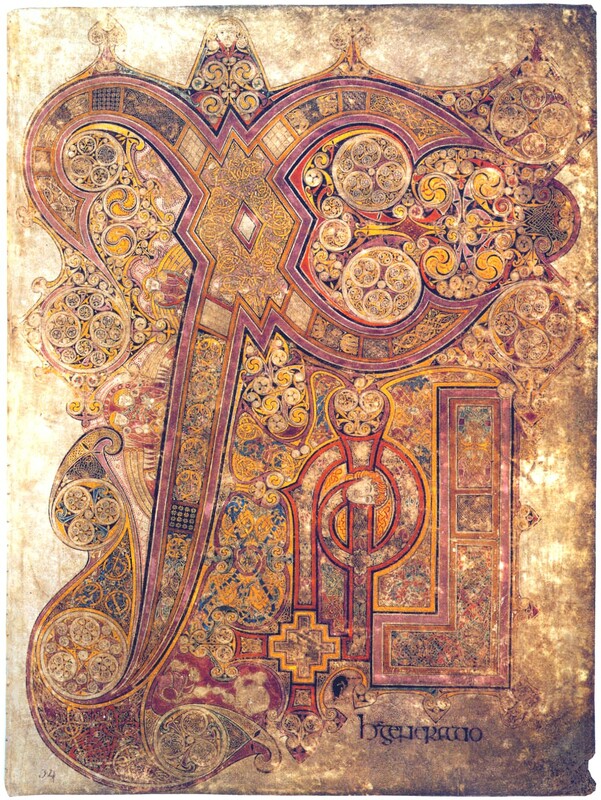 Check out the fabulous Irish Book of Kells. In islamic art representation of creatures was usually not accepted, but arabic inscriptions are often camouflaged in the same way. The inscriptions in the famous Alhambra in Granada, Spain are so camouflaged they’ve only just been deciphered. (That’s a news link, at 11/5/09, so I’m not sure how long it be live).